Historic Royal Palaces and IMG are thrilled to announce pop-rock favourites Busted as the final headliner for Hampton Court Palace Festival 2019. Tickets for Busted’s show on Saturday 8 June will go on general sale at 10am this Friday 22 March and can be purchased from www.hamptoncourtpalacefestival.com. Transporting Hampton Court to the Year 3000 for one night only, Busted will play their greatest hits inside the magnificent Tudor courtyard of the palace on 8 June including What I Go To School For, Crashed The Wedding and Air Hostess. The band will also play tracks from their latest album ‘Half Way There,’ which recently reached number 2 of the UK Albums Chart. Making their Hampton Court Palace Festival debut, Busted are one of the biggest UK pop acts of the 21st century with five million record sales, two 4-time platinum selling albums and four number one singles. Now in its 27th year, Hampton Court Palace Festival is a series of truly special and unique open-air concerts. Artists perform in a 3,000-seat auditorium in Base Court, set against the backdrop of Henry VIII’s stunning Tudor palace. Attendees will arrive at the Palace Gardens to enjoy a spot of picnicking. This year, the festival’s picnics will be provided by Fortnum & Mason for the first time. Crafted with the very best seasonal ingredients fresh from Fortnum’s famous Food Halls, and packed with summer-ready tipples, four picnic options will be available for guests to enjoy. Picnics are available to purchase now when buying tickets for the festival. Exclusive dining and corporate entertainment packages in the palace’s spectacular state apartments are also available to purchase now, ensuring a truly unforgettable experience. The festival also offers the perfect opportunity to celebrate special occasions in a prestigious setting, with champagne available to purchase from the festival’s Champagne Partner, Champagne PIAFF. Already announced to perform at Hampton Court Palace Festival are dutch songstress Caro Emerald on 12 June, music virtuoso Jools Holland on 6 June, new-wave legends Tears For Fears on 18 and 19 June, music royalty The Jacksons on 7 June, the iconic Nile Rodgers & Chic on 14 and 15 June, the princess of pop Kylie Minogue on 20 and 21 June and bringing the festival to a close, show-stopping duo Michael Ball & Alfie Boe with Fireworks Finale on 22 June. Tickets for these concerts are on-sale now, except general admission tickets for Kylie Minogue’s concerts and Nile Rodger & Chic’s 14 June concert as they are now sold out. VIP and corporate packages for all concerts are still available to purchase. 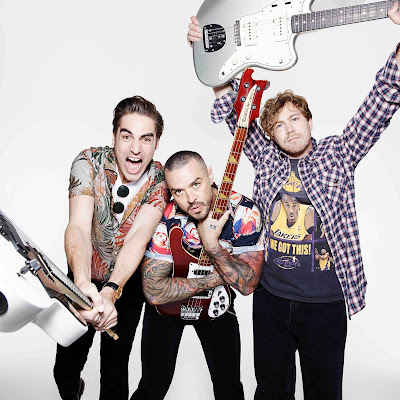 Tickets for Busted’s concert at Hampton Court Palace Festival on 8 June go on general sale at 10am this Friday 22 March.